7 - Can you make sure this text is using the same font as the text on the other banner (that starts with "Affordable, effective...")? It doesn't have to be the same size, but I think they might be different fonts. 6 - Let's remove this vertical bar before the title. 5 - Let's remove this vertical bar before the title. #4 - Please make sure the website address at the bottom of both banners are in the same location (same height from the bottom). And can we see what a smaller font looks like? Something about the size of entry #22 . #3 - Capitalize this "S" also. 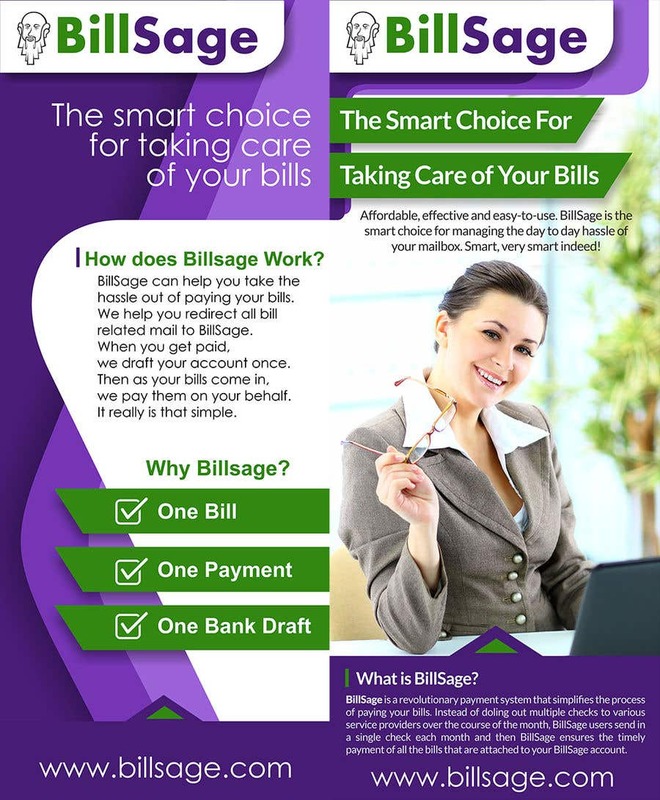 (so it should be BillSage instead of Billsage). #2 - Capitalize this "S". (so it should be BillSage instead of Billsage). Please send message on private chat so we can communicate well, thanks! Ok, I've been going through my top 4 choices and I like your's the best. I'm going to award you the prize. I don't have access to Photoshop myself, to change the small things, so there's several very minor things I want to change before we finalize it. Cool? I love it! This is looking great! --Tomorrow is a major holiday here. I'll provide better feedback but it will be a little slow.